This little record shop punches well above its weight. 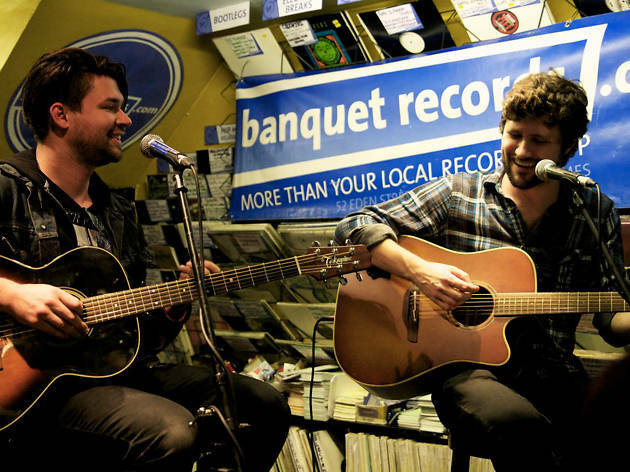 As well as selling new releases on CDs and vinyl, Banquet (an offshoot from the old Beggars Banquet franchise) is at the centre of the Kingston music scene: their packed acoustic in-store shows and regular gig nights bring big artists to this corner of the London suburbs. 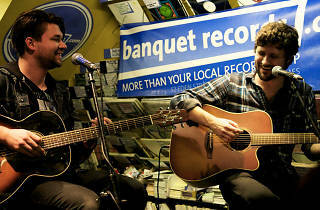 I like to think of Banquet Records as more then just a record store but a wonderful hub of music love! They put so much into the local community with the events they do, and as a record store the customer service is incredible. When I went to uni in there area I was very proud to recommend it to friends in, around and out of Kingston. Every music taste is catered for, and a lot of my music taste development was influenced by attending their events. Local legends, not only promoting new music releases but taking care of the cultural and social needs of anyone who steps through their door, interacts online or comes to a gig. Great for browsing in the old-fashioned way and to discover something new. Banquet has always been more than just a record store. Jon and his team have basically run the music scene in Kingston and are heavily involved with the community. Whether you want records, tickets, advice or a chat, this is the place to go! Keep and eye out for the in-stores but get there early to avoid the queues.